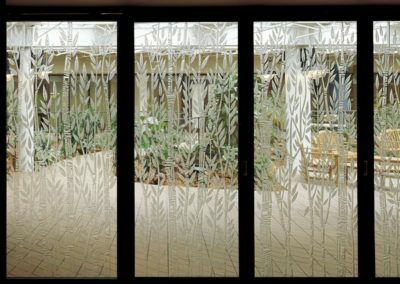 To create a separation of the worship area of the San Camillo Chapel from the atrium space at San Camillo Retirement Community in Wauwatosa. 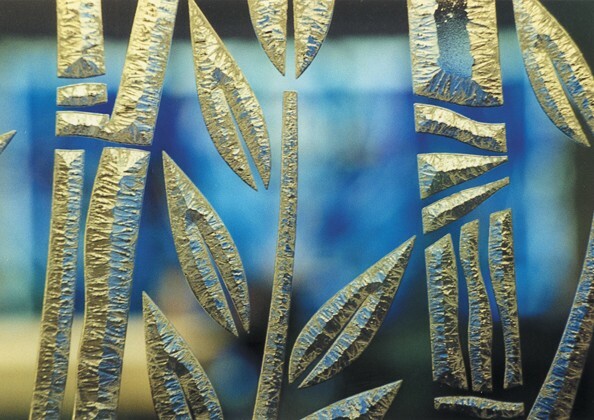 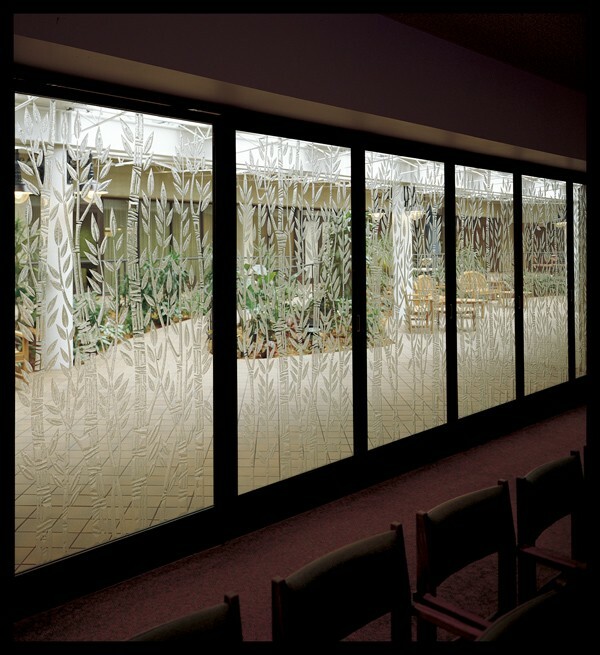 The use of Leptat® glass visually opens the chapel space and allows viewers to look beyond the glass into the atrium. 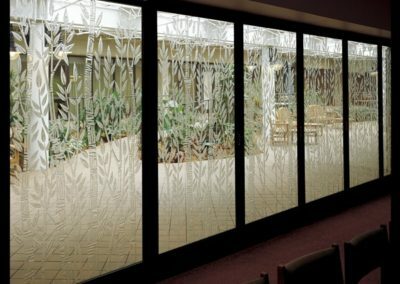 With all of the panels sliding into a pocket, the entire wall of specially etched glass opens up for large gatherings in the chapel. 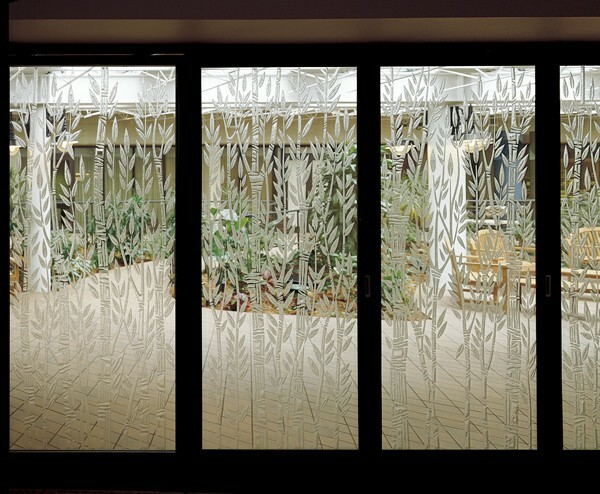 The wall effectively combines glass and light, one enhancing the other.